Are you looking for the perfect way to satisfy a chocolate craving? Do you want to chow down on chocolates without having to make them from scratch on your own? If so, you need to pick up some chocolate truffles right away! When you don’t want to spend a lot of time, effort, or money on making truffles yourself, all you have to do is buy chocolate truffles in a store or order them online. Then you’ll have a sweets fix in no time! Of course, it can be tough to know where to buy chocolate truffles, especially if you’ve never gone looking for them in stores before. You might have seen a few on the shelves of your local market, but you probably aren’t sure where to start looking for unique flavors or high-quality options. That’s where this article can help! When you’ve finished reading through this article, you’ll know where to buy chocolate truffles online or in person, and you’ll know the pros and cons of ordering from each store listed here. You’ll be able to choose the shop that sounds right for you or even find out which ones might be located close by. I’ll also be sure to let you know which types of chocolate truffles to buy from each store, just in case you’re looking for some flavor suggestions! With all of this information at your fingertips, you should have no trouble picking up the perfect type of truffle to share with your friends and family, or to keep all to yourself. To learn more about buying chocolate truffles, read on! So you know you want something sweet, but you’re still asking yourself, “Where can I buy chocolate truffles in person?” When you want a tasty truffle treat you don’t have to wait for, picking up some truffles in person the way to go! Buying truffles in person is a great way to get to see the products you’re considering purchasing before you make your final decision. Of course, there are always some pros and cons to both options when it comes to truffle shopping. When buying in person, you can usually see the products you’re buying. This makes it easier to check for damage and do some quality control on your own. If you’re purchasing pre-wrapped truffles in person, you’ll be able to choose the ones with wrapping colors that work best with any theme or décor you might be using. Buying in person from a specialty candy store means you can sample truffles to see which ones you like the best, instead of buying without trying. When you buy truffles in stores, you miss out on sales that might take place and save you money when you order online. It’s usually harder to buy larger quantities of truffles in person since stores may not stock as many as you might need for specific events. Of course, finding stores that stock truffles in your area may be difficult, especially if you aren’t in a larger city. If you can’t find a local shop that sells chocolate truffles buy online instead! Buying online can make it a lot easier for you find truffles, especially if you live in a remote area where shops might be less likely to come by. You can usually find even more unique flavors online than you might find in a local shop, but it can be difficult to make special orders when buying truffles from an online store. It’s a good idea to understand the pros and cons of this type of truffle buying, too, before you make your shopping decision. Purchasing chocolate truffles online gives you a chance to stock up on a lot of truffles at once and potentially save money in the process. You can find a lot of interesting flavors and types of truffles when you aren’t limited to local shops. If you live in an area without a lot of stores, buying online might be your only option for finding great truffles. You won’t be able to sample truffles before you buy them online, and you might end up with a flavor you don’t like much. When you buy online, you run the risk of receiving melted truffles, particularly if you live in a hot climate or don’t pay for faster shipping. If you don’t get a free shipping deal from your online truffle source, you’ll have to factor in the cost of shipping on top of the price of your truffles. Start your search for the perfect chocolate truffles with Lake Champlain Chocolates! This store has a ton of great truffle options to help you find exactly what you’re looking for. Lake Champlain Chocolates offers truffles in both milk and dark chocolate varieties, with a ton of different flavors in each category. If you purchase the assorted truffles gift box, you can also enjoy specialty white chocolate flavors as well. Truffle boxes start at around $30 from this company and go up from there. Lake Champlain Chocolates has several retail locations of its own, and these candies are also available in stores throughout the United States. In Vermont, there are a handful of Lake Champlain Chocolates Retail Stores. These truffles also turn up in just about every local shop throughout the state of Vermont. Outside this part of the country, you can also find them in chain stores throughout the country. Many small, locally-based chocolate shops that don’t make their own truffles also stock this brand, so you should have no trouble locating them no matter where you are in the country. You can check out their retail location finder on their website to discover the nearest place where you can pick up Lake Champlain truffles. You can purchase Lake Champlain truffles either in person or online, which makes this a great option no matter what type of buying you’d like to do. Lake Champlain truffles are made from high-quality ingredients and backed by great customer service. Truffles are available in several flavors as well as in variety packs to help you find the perfect taste for your needs. Since truffle shipments are handled by a smaller business, ordering online may take a little longer from this company than from some others. Buying Lake Champlain truffles in stores may limit your options considerably when it comes to flavors. There are not as many different types of truffles available from this company as there are from others listed here. If you’re looking for a common chain store that supplies chocolate truffles buy from Whole Foods! While you can find some types of chocolate truffles on the shelves of most markets, Whole Foods is much more likely to carry some of the more authentic brand names that you might not ever have heard of before. Be sure to visit your local Whole Foods location to find out what types they carry since certain stores may carry local brands you didn’t even know existed. For example, some Whole Foods locations carry Lake Champlain truffles shipped in fresh from Vermont on a regular basis. If you believe that some Whole Foods locations might carry a truffle brand you’re interested in, but your local store doesn’t, you can always ask them to start supplying the truffles you’re looking for. Whole Foods is very good about customer service, and they are usually pretty willing to work with customers looking for specific products. Since they specialize in selling more organic and authentic products than other markets, you can always be sure to find something delicious there when it comes time to do your chocolate truffle shopping. Whole Foods is a common chain grocery store that is very likely to be near you, no matter where you live. Most Whole Foods locations carry at least one brand of chocolate truffle, if not more to choose from. If you ever have a complaint about a product purchased from a Whole Foods, you can be sure their great customer service team will help you take care of it. When buying from Whole Foods, you’re limited to the flavors and brands you can find on the store’s shelves. It isn’t possible to place orders from Whole Foods online, so if there’s not a store in your area, you’ll probably want to shop elsewhere. Whole Foods may be more expensive than many of the other locations on this list. Check out Jacques Torres to pick up some truffles from one of the most popular physical store chains in the New York area. If you are in New York, be sure to stop by one of the many locations for this small but very influential chocolate company that can be found throughout the city. Check out the Jacques Torres website to discover the locations nearest to you, or to purchase truffles online if you are unable to visit New York anytime soon. Although Jacques Torres is known for plenty of other types of chocolates aside from just truffles, do yourself a favor and don’t pass up the opportunity to try the champagne truffles from this company. These chocolates are made from fresh cream and delicious, high-quality milk chocolate that’s sure to put a smile on your face. They also contain real champagne, which gives them a unique flavor that tastes as great as it sounds. Champagne truffles from Jacques Torres are available in either ten piece or twenty-four-piece box sets, ranging between $20 and $30. Jacques Torres is a very popular chocolate brand in New York, run by a well-known pastry chef with tons of experience in making sweets. All of the ingredients used by this company are fresh and high-quality, so you know you’re getting a good product. Champagne truffles are some of the most popular in the world of these chocolates, due to their excellent and rich flavor. If you aren’t interested in champagne truffles, there are no other options for you to choose from when buying from this company. It may be very difficult or impossible for you to visit a physical Jacques Torres location if you aren’t already in New York. When buying online, there are no free shipping deals. When all else fails and you want to buy your chocolate truffles online, what better place to check than Amazon? You can find just about anything you’re looking for on Amazon, and usually, you can save a lot of money by purchasing this way. If you’re shopping for truffles, be sure to check out the Grocery & Gourmet Food section of the website, which includes a lot of different brands for you to choose from. Whether you’re looking for American truffles, Swiss truffles, or even French truffles, you can find all that and much more among the available types of chocolates on Amazon. Remember that it’s always a good idea to shop carefully when buying candy from Amazon. If possible, always look for the products that have the “Prime” logo listed below the name. This means that they’re fulfilled by Amazon, which gives you an extra degree of protection in case something goes wrong with your order. Most of the time, these products also ship for free if your order comes out to over $25, which means you could get your truffles for less than or equal to the cost of buying in a store. If you buy from a non-Amazon seller, be sure to check out the reviews and feedback carefully before you make your decision! Buying from Amazon is quick and easy, and Amazon ships quickly as well. You can get free shipping on your orders very easily, especially if you’re stocking up on two or three different types of truffles. It’s easy to tell whether or not you’re dealing with a good seller or quality product just by checking the reviews and feedback on Amazon listings. If your truffle purchase isn’t fulfilled by Amazon, you’ll have to pay extra for the cost of shipping and may not have customer service to help you with any issues that might arise. Sometimes, truffles shipped through Amazon’s services arrive melted, since they’re left in transit for longer than they might be from other sources. Truffles purchased from Amazon might have been sitting in a warehouse for a while before you buy them, so they may not be as fresh as those you could get from physical stores. One of the best places to purchase truffles online is from the Lindt USA online store. Lindt is a major truffle supplier that specializes in Swiss truffles and has been making chocolates for a long time. As a matter of fact, the company itself dates back to the late 19th century, although the mass truffle production did not come into play until much later. Even so, Lindt has become a popular truffle supplier worldwide, and you have probably seen Lindt truffles on the shelves of some of your favorite markets in the past. When you order truffles from Lindt’s online store, you can choose from many different flavors that are designed to please just about any palate. Lindt offers truffles in traditional flavors such as milk chocolate, dark chocolate, or caramel, as well as unique flavors like mint, pumpkin spice, citrus, sea salt, and much more. You can also stock up on assorted gift bags, or choose a make your own option and select the truffle flavors you want to include in your own, personalized order. Buying from Lindt gives you the quality assurance of a big-name truffle brand and the customer service that goes along with that. Lindt truffles are always available individually wrapped, which makes them great for giving out as gifts or for sticking in your purse or backpack for a quick treat on the go. These are high-quality chocolate truffles that have been on the market for years, so you can always be sure you’re getting a good piece of chocolate when you purchase one. Lindt truffles can get a little expensive, especially since they are usually sold by the piece rather than by the box. It is possible to find Lindt truffles in some stores, but when you do, you are limited to only a few traditional flavors and don’t have access to some of the unique ones available through the website. Lindt truffles are prone to melting when shipped, which means ordering them online may not be the best choice at certain times of the year. If you want to purchase truffles from what is perhaps the most well-known truffle supplier around the world, be sure to !check out the Godiva online store right away! Godiva does have many physical stores located around the country, and you can also purchase these truffles from specialty markets and candy shops that stock them. However, your best bet for purchasing from Godiva is to go with the online option. If you spend over $49, you can get free shipping, which makes your order even more cost-effective. You can pick up a twelve-piece box of Godiva chocolate truffles in a variety of different flavors for $32 a box. From there, the prices and the number of truffles you can buy at a time both increase. Godiva features many different styles of truffles for you to choose from, and they offer a lot of different packaging options to help you find the right chocolates for any gift-giving holiday. While all of the truffles you can get from Godiva are very high-quality, the more you’re willing to spend, the nicer the presentation will be! Godiva is probably the best-known brand name for truffles worldwide, which means you can be sure you’re getting a great product every time you buy. It’s easy to find Godiva chocolate stores around the world, and you can also order from their website. Godiva offers many different truffle flavors for you to choose from, as well as a few different styles. Godiva chocolate truffles tend to be very expensive, and especially if you’re buying several at a time, you might end up spending a lot of money on your purchase. Ordering truffles online means you’ll either need to pay for faster shipping to keep them from melting or go with traditional shipping and hope for the best. If you’ll be ordering from Godiva during the holidays, you might need to order early to get your truffles in time, since these are very popular gifts during the holiday season. Do you know which store you want to go with for your next truffle purchase? Now that you’ve read through this article, you should have a much better idea of where to shop when you get your next craving for a sweet, creamy, chocolate treat. Whether you’re looking to buy your chocolate truffles online or you want to pick them up in person, you’ve got plenty of options to help you find the perfect truffle solution for your needs! Of course, these aren’t the only places where you can find chocolate truffles. If you’re looking for some of the more popular brand names, such as Godiva or Lindt, you should be able to find them on the shelves of just about any grocery store. Places like Target, Fresh Market, Publix, and other groceries tend to carry these brands of truffles, although some might only have them in stock during the holiday and Valentine’s Day seasons. Remember that, if you’re shopping for truffles in person, you can always call around the markets in your area to figure out which ones carry the brands you’re most interested in. Otherwise, head online to find plenty of truffle options available in just about any flavor and style combination you can imagine! 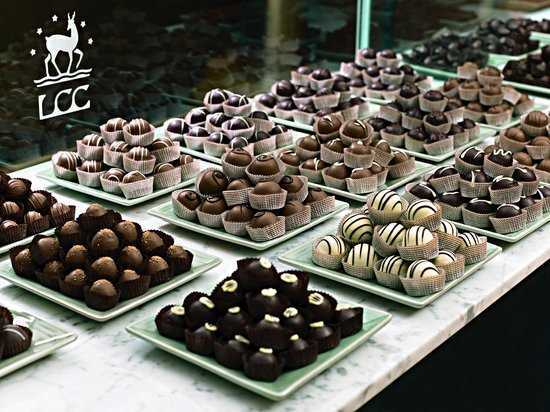 Whichever truffle supplier you choose, get ready to enjoy some of the best chocolates you’ll ever indulge in. Happy eating!